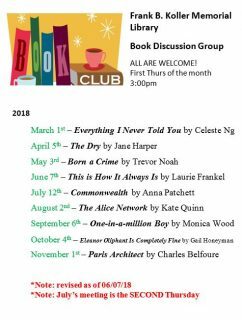 Book Club List REVISED AGAIN! Please note the Book Club reading list has just been revised. There are changes for July, August, October and November. See the Calendar of Events for details. Coffee and Connections has upcoming classes! High tech, high touch classes to help you feel comfy navigating the digital world.